How do religious faith and human understanding relate to each other? On this question there is no consensus, nor has there ever been in the past. The history of Western philosophy confronts us with a complex diversity of views that grew into more or less indisputable standard positions. These positions are not the strict result of theoretical reflexion. Their acceptance is largely based on pre-theoretical considerations, the self-evidence of a spiritual intuition or religious motivation. 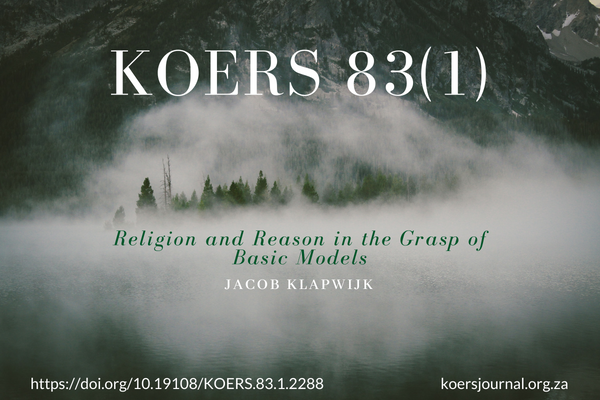 The different views on the relationship of religion and reason can be grouped into a limited number of basic models or motives. This essay will discuss seven of them as they arose in the Christian tradition. I will call them as follows: identification, conflict, subordination, complementarity, foundation, authenticity and transformation. For the sake of brevity the text focuses on the origins and first manifestations of these models. But we will add again and again fragments of further developments to make clear how resilient these models are. They continue to assert themselves even in new periods of time. Their diversity challenges us, up to the present day, to reconsider the self-evidence of our own position in the debate on religion and reason.